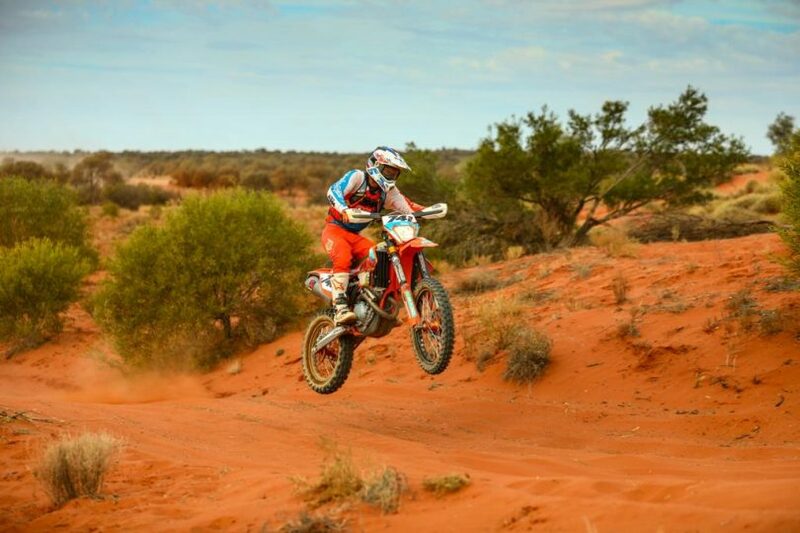 We have found a bloke from Canberra who thinks he’s got what it takes to finish ‘The Dakar.’ Photos: Supplied. 5,000kms over 10 stages, with let’s say 70 per cent of the course covered in sand……..easy right?? Each year, a select few make it their goal to race “The Dakar”. We have found a bloke from Canberra who thinks he’s got what it takes to finish this epic race, but that is getting a little too far ahead. We are not short of meeting extraordinary people with high talent and ambitions. As a general rule, motorcycle riders are passionate about motorcycles and the motorcycles they ride. I had the opportunity to cut one from the herd and learn a little more about his “Why motorcycles?” inspiration. Simon “Simmo” Arthur and his faithful Jack Russell Rosco are a very familiar sight in our dealership. But like most, Simmo’s story didn’t start there. 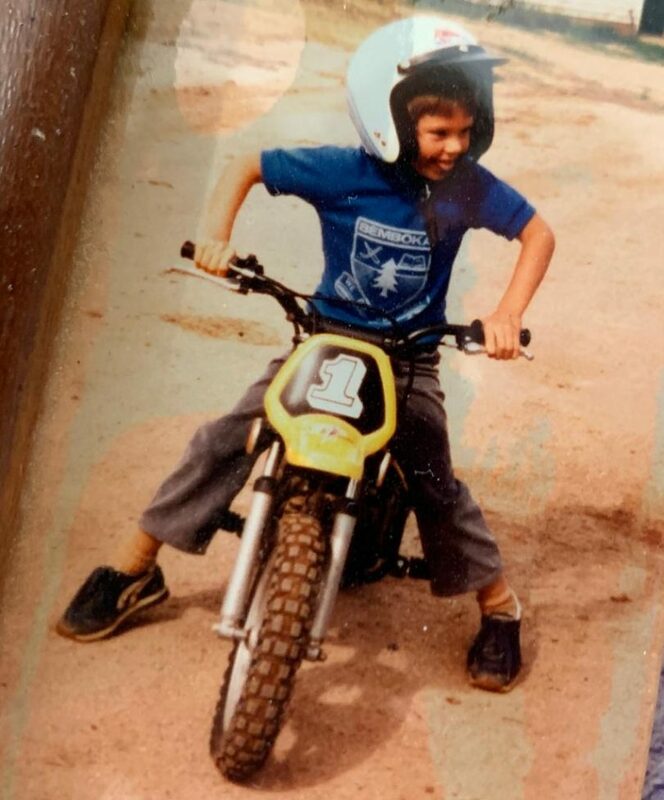 As much as we would like to take credit for his love of motorcycles, it appears it started before we met. Simmo was born and spent the first few years of his life in Country NSW. Simmo recalls vividly it was at his cousin’s house in Jerilderie. Simply, he knew right away that he was destined to ride a motorcycle. From this, the passion only grew. 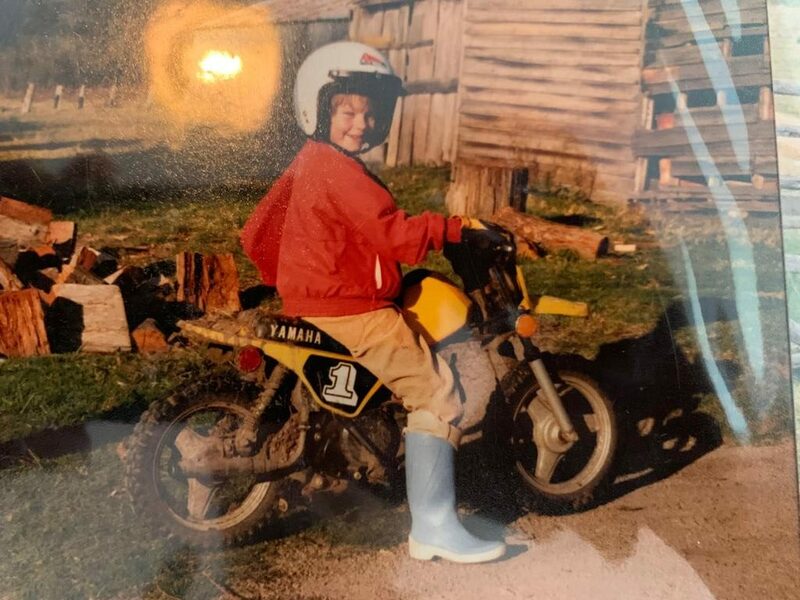 Simmo talks about riding his Suzuki DS80 to a Dairy farm to work before school, newspaper jammed down his shirt to keep him warm from the wind-chill. After the shift, Simmo would then ride his bike to the bus stop, throw it in the bushes and jump on the bus, get through school, off the bus and on the bike again. Add to this learning to use heavy machinery for the sole purpose of building tracks and jumps. Getting the picture? 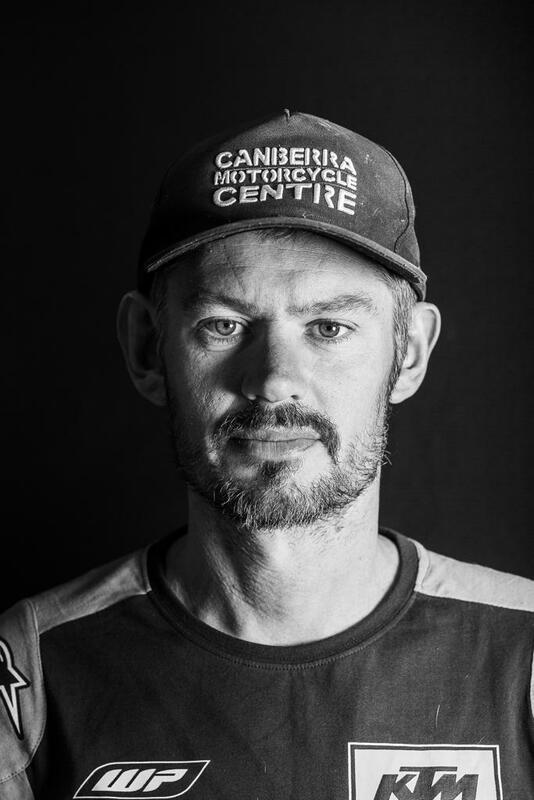 Simmo Arthur – passionate motorcycle enthusiast since his younger days. At this point of my catch up, even I was surprised with the detail Simmo remembers of these times. We then got to chatting about what these experiences have meant to him later in life. “Grit and determination, money wasn’t easy to come by, I knew if I wanted this to continue I would need to figure a way to make it work,” Said Simon. The Simmo I know certainly presents as handy and a problem solver. We even see this in his effortless ability to interact with customers. These races consist of some of the most challenging terrains you could imagine. Two of these races are “navigation races” (Condo 750 and Sunraysia Safari). Riders have to navigate themselves through a gruelling race – one misread direction could have you lost for hours. For those of you familiar with Rally Cars, they often use the Co-driver and a system called Roadbook to navigate the course, saying things like, “easy right, 200 meters……”. Now remove the Co-driver, decrease visibility and you get the idea of how difficult this part of the race could be. I got lost when Simmmo was explaining the system. Again, I realise our man Simmo is here to make it count and this isn’t just a bit of weekend fun. CMC are privileged to have such a great ambassador, the first bloke to help get people into the sport, the first bloke to put his hand up when we organise a ride. We pride ourselves on the in-store culture at CMC, but truth be told it would be nothing if it wasn’t reciprocated by the likes of Mr Arthur. CMC will continue to support Simmo and report back to our reader base; we just know some interesting stuff will happen over the next 18 months. No prize for guessing that this is the “Mt Everest” for Simmo and he has his eyes firmly on Dakar 2021. This is rumoured to be back in Africa! It’s been held in South America since 2009. All of us here at CMC are behind this goal. A goal that takes tenacity to even mention you are doing it. But like most events, it takes time and money (lot’s of money). Over the next 18 months, we will keep you all posted and when we need some support, we will humbly ask. For now, we wish Simmo a speedy recovery (oh, I didn’t mention that he has recently had shoulder surgery, he was back on the bike nine weeks after a rotator cuff) and all the best for the next period of training and racing. CMC is proud to have the likes of Simon Arthur as part of our staff.